Our no pressure “any time, any reason” approach makes it easier for people to communicate with us. Whether you require an initial valuation, an in depth service discussion or are ready to sell… we’re at your service and happy to help. When you are ready to sell, we take full details, such as measurements, floor plans, descriptions and photographs, allowing us to prepare your marketing material. Every member of the team will visit your property. Whilst in time this would happen anyway, through viewing activity, how can the estate agent fully explain your property unless they have seen it for themselves? It also gives you a chance to meet the team. By using professional equipment and skilled photography, we are sure to present your property in the best possible light and to capture the key features that will appeal to your target audience. Our colour property brochures highlight the best features of your property and provide buyers with information such as floor plans, EPC ratings plus there’s a chance for you to have your say about your property – nothing says it better than “a few words from the seller”. Maximum exposure of your property is paramount. We want to reach as many potential buyers as possible. 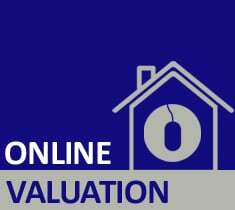 Specific time is allocated to contacting our extensive database of buyers and your property is uploaded to the major property websites such as Rightmove.co.uk and Onthemarket.com. A for sale board will generate extra enquiries, which coupled with our prominent office window displays provide for additional 24-hour marketing tools. How many viewings have I had? What did people say about my property? When is my buyer having their survey? Our philosophy is to provide answers before you need to ask the questions. Marketing updates, continual feedback and real-time sales progression updates are available 24/7 through our seller’s log-in area. Most of our viewing activity takes place outside of normal working hours, with Saturday, our busiest day of the week, right through from morning to late afternoon. As you can imagine, e-mail and internet activity is constant so we are structured to be available, and adequately staffed, when we are needed most. We accompany all viewings and host open day events, which enable us to interact with the people viewing your property, it’s best to let us handle this to avoid being asked awkward questions such as "How much do you want for the house? ", “Why don’t you want to live here anymore?” or “Will you sell to me for less if we cut the agent out?” – If people knock on your door simply tell them to speak with us, it’s what you are employing us to do and will help protect you from over-keen property dealers, or people trying to buy your property on the cheap. Using a local solicitor is always a plus, they know the area, the local authority and as such will be experienced with typical area specific enquires often raised by the buyer’s solicitor. We can recommend local solicitors as well as other services such as surveys, mortgage advice and removals. Getting you to the end is what it’s all about, which is why our selling fee is payable at the end of the process. From start to finish our aims are clear, achieve the best possible result for our seller, by listening and being there for them every step of the way. When the job is done, we are then paid and, having made sure your experience was a good one, you can recommend to others where to come when they need to move. "Williams Estate Agents did a fantastic job for us. Valuations are sensible, and Andrew has an unparalleled view of the market in the Northwich, Hartford and Whitegate areas. After selling our house in short order, the team supported our sale throughout"